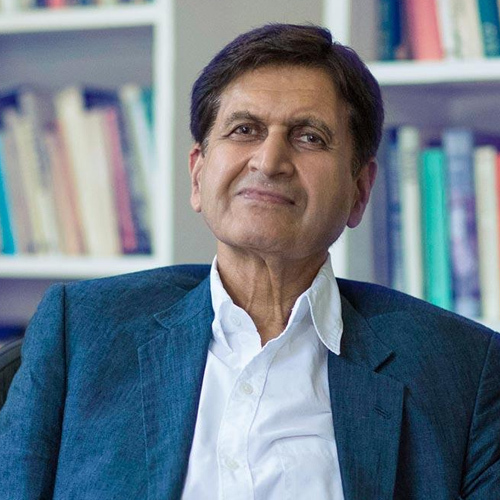 Krishan Kumar is a University Professor, as well as William R. Kenan, Jr., Professor of Sociology at the University of Virginia. He was previously Professor of Social and Political Thought at the University of Kent at Canterbury, England. He received his undergraduate education at the University of Cambridge and his postgraduate education at the London School of Economics. Mr. Kumar has at various times been a Talks Producer at the BBC, a Visiting Scholar at Harvard University, and has held Visiting Professorships at Bristol University, the University of Colorado at Boulder, the Central European University, Prague, the University of Bergen, Norway, and the Ecole des Hautes Etudes en Sciences Sociales, Paris. He has also been a member of the Institute for Advanced Study, Princeton. Among his publications are Prophecy and Progress: The Sociology of Industrial and Post-Industrial Society; Utopia and Anti-Utopia in Modern Times; The Rise of Modern Society; From Post-Industrial to Post-Modern Society; 1989: Revolutionary Ideas and Ideals; The Making of English National Identity. Mr. Kumar's current interests focus on empires and imperial peoples. Related interest include nationalism and nation identity, Europe, global history, and problems of historical sociology. London, Weidenfeld and Nicolson, 1971, pp. 330. London, Allen Lane: The Penguin Press, 1978; Harmondsworth, Penguin Books, 1978, pp. 416 (Japanese translation, Bunshindo Publishers, 1996). London, Tavistock Publications, 1983, pp 212. Oxford, Basil Blackwell, 1987, pp. 506, (Italian translation, Long Editore, 1995). Oxford, Basil Blackwell, 1988, pp. 338, (A collection of some of my previously published articles). Buckingham, Open University Press, 1991; Minneapolis, University of Minnesota Press, 1991, pp. 136, (Japanese translation, Showado, 1994; Romanian translation, Editura du Style, Bucharest 1998). London, Reaktion Books, 1993, pp. 164. Chicago, University of Chicago Press, 1997, pp. 380. University of Minnesota Press, 2001.